If you’ve ever had trouble understanding your prescription medication label, you’re not alone. Over 500,000 patients misinterpret prescription label instructions every year. Here’s a quick guide to reading your prescription drug label and making sure that you take medications how and when you need them. 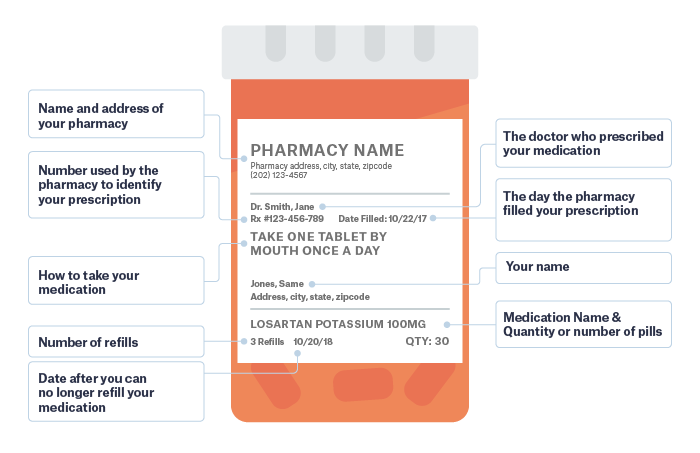 Different pharmacies may put information different places on the label, so ask your pharmacist or doctor if you’re still having trouble reading your bottle’s label or instructions.